Do I really need to say it at this juncture? Spoilers ahoy! We are looking only at the anime, filler included. A post written without filler inclusion (and only on the subtitled version) could arguably reach the same place with a little stretching, but we’re operating strictly within the series with which many of us (USA-based 90s babies) grew up. That also means we are looking at the original Funimation dubs of DB, Z, and Super. These series tell a continuous story in which Akira Toriyama always had a hand. GT is an abomination. * The subtitled original will also be included in discussion, but only at points were the dubbed material has not yet been made available. Movies, for our purposes, are included as fair game if needed, though much of our discussion won’t involve them. Toriyama has said that he views the movies as an alternate universe, but as seen in Future Trunk’s timeline, our adult characters’ personalities and motivations remain fundamentally unchanged without the addition of great sorrow or duress. Lastly, as with Victor’s Blush Means Everything, my opinions may hereby be stated as fact in the interests of simplicity. Also, I apologize now for the length of my sentences. For Goku, this end-all is the world, with very little emphasis placed on his own standing or relationships. Goku will sacrifice what he must in the heat of battle, as much as it may later pain him excruciatingly to have so done. For ChiChi, this end-all is her world, and her relationships are the single most critical thing at the expense of all else. She will regretfully but firmly condemn the world to burn if she can keep her loved ones safe but that much longer. Two characters, to end-alls, but within this dichotomy exists greater similarity that one might care to admit. We see mutual pride, honor, sacrifice, focus, and love displayed on screen, even if these traits manifest themselves in vastly separate ways. Opposites in nearly every practical showing, Goku and ChiChi are alike in honor. Goku is child-like, naïve, simple, and strong; these endearing traits are what draw ChiChi to Goku by the days of their second childhood meeting. In some ways, ChiChi is just as outrageous as Goku, because even after five years without contact, she tracks him down at the 23rd World Martial Arts Tournament that he might make good on his childhood promise to marry her (a promise which I might add he made on accident). Finding out that Goku didn’t understand what marriage was at the time, she’s heartbroken. The man she’s obsessed over for a half decade (in very teenage fashion) didn’t understand the impact of his words upon her, but she’s not about to force him into capitulation. Quickly, however, a now worldlier Goku proposes on the spot, saying that his heart knows what it wants. As a child, Goku was raised by his grandfather, Gohan, in the woods. While his innocence never truly leaves him, kid-Goku’s naivety is unparalleled. On top of that, he hasn’t yet experienced the biological or hormonal changes necessary for sexual love (eros), nor as he generated the experiences or breadth of understanding necessary for a mature, unconditional love (agape). He loved his grandfather, but that love is firmly within the realm of a young child’s love for a parent. It is innocent, but also selfish. Goku as a teen is still simple, but he has grown into a young man with the capacity for eros. ChiChi has grown into a beautiful, incredibly strong young woman. These simple truths (when combined with a fondness for the childhood memories he shares with ChiChi) lead Goku—who now understands marriage on a very surface level—to acknowledge his fledgling feelings (somewhat driven by Saiyan biology—see below) in the way most befitting his honor after such confusion. ChiChi is taught what it means (in a very surface-level, simplistic sense) to be a homemaker by Octagon (in GLORIOUS, GLORIOUS DB FILLER). I propose that Goku— being the simple and happy-go-lucky man that he is—learns a great deal from ChiChi during their marriage’s earliest days about how a small, traditional family operates and what it looks like. Through the end of DB and by the time that they appear in Z, it has become obvious that Goku has grown to care for his wife in deeper way than at proposal. The series and movies paint a protective picture of the love that Goku holds for his little family, something that must have come from a natural, Saiyan heart and not something that ChiChi could ever have hoped to teach (else it come off more like the protection of a guard dog). 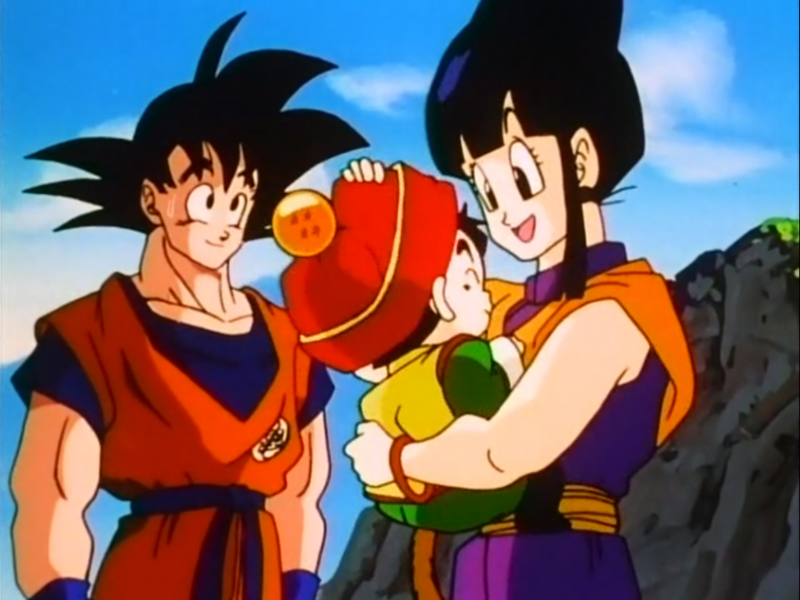 Appearances indicate that the two were quite happy during their uninterrupted time as a family with baby Gohan. I cannot stress enough that these were two unprepared teenagers who jumped into something wholly unknown and grew together into something, if not all-together perfect, unexpectedly necessary. ChiChi is a ferocious, honorable woman—strong of will and body; her unyielding temperament is one of the things that that Goku finds most irresistible about her (confirmed by Super). It’s in his Saiyan blood to seek out such a mate, and he truly hit the jackpot with ChiChi: beauty, brains, and brawn. As a territorial, passionate wife and mother, ChiChi truly loves nothing more than her family. In the early days, she doesn’t have much fear for their future; while still temperamental and feisty in all the ways that Goku loves (and wouldn’t you have to be to keep a Saiyan male in check? ), ChiChi sleeps soundly with her knowledge that Goku is the strongest man alive. She is unworried and serene, for although she might kick up a mighty fuss over young Gohan’s school work, she knows that no one can touch her little family so long as their grand protector is around. Goku has grown into manhood and taken that role truly to heart. The next thing she knows, Goku has gone off to see his friends and hasn’t come home. Piccolo has kidnapped their five-year-old son. Goku is not the strongest being in existence anymore. Maybe, she thinks, he never was. ChiChi used to think that Goku was invincible. She considered her husband to be the strongest man in the world, and it was evident even in Dragon Ball that his massive strength and simplicity appealed to her. Events have now taught her otherwise. They will only continue to do so over and over again. For all that the fandom mocks her, ChiChi has truly had a rough go; consider the similarities between Goku and ChiChi again. Consider that, while ChiChi is far less naive than Goku, she holds equal equity in tunnel vision. Whereas Goku loves his family (and I insist on this truth), his tunnel vision is always locked on the next major battle or threat (Super expands upon this, but not yet in dub. ); ChiChi’s eyes are focused on her family. ChiChi loves Goku with as much passion as she rages at him. It is in her nature to be passionate in all ways. His every death breaks her heart, and every absence grows it fonder; even after his seven-year disappearance and Buu saga, all ChiChi wants is to live like a family of four in their little house. Although Goku’s focus lies on the world, he indeed loves his family; he is overtly protective of them when not blinded by his Saiyan vices. What, you may ask, are those vices? Goku’s nature is to be simple, protective, strong, kind… But in addition, Goku’s reacquaintance with newer and more powerful opponents has only served over the years to highlight some of his most negative traits. Goku will always irresponsibly lust for battle; it’s in his Saiyan blood. He can love ChiChi and their family as much as he is able, but the salivation for combat will always sing sirenically in his ear; his resulting tunnel vision leaves little room for anything else in the heat of bloodlust. Goku fights to protect the world, his family/friends, and their mutual innocents, but there are times that as much simply won’t hold true. There are times that Goku loses himself to the excitement of potential combat and surrenders sight of everything else. It’s in his nature, that very same nature that ChiChi loves in all other ways. This, combined with their world priorities, leads the two to clash quite extremely over the course of their marriage, whether they be in love or no. Because ChiChi knows that Goku is no longer guaranteed victory in battle, she worries. For some time, she resents his friends for dragging Goku back into this life (in her mind, likened to reintroducing someone with a strong family history of alcoholism to unlimited beer and wine stores). 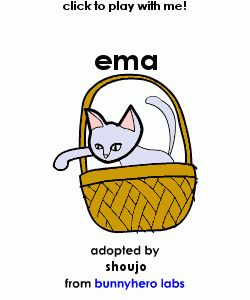 While she later comes to be good friends with Bulma, this takes a great deal of time and resolved acceptance. ChiChi berates Goku in their more comedic, obvious moments, but that does not mean she doesn’t love him always and care for him in the interterm. Behind it all, ChiChi understands that, as much as she may love Goku, he will never understand her worldview. She will never truly be able to hold him back from fighting—due to both good (world view, honor) and bad (Saiyan vices) reasons. However, it is also something that she, in spite of this understanding and because of her worldview, will always desire. Having understood this, however, ChiChi—unable to hold and protect Goku—executes this single-minded prerogative where she can; ChiChi will do ANYTHING to protect her children, and if this means coming off as a “nagging” wife to her husband’s friends (and the audience)—if this means challenging Goku—then so shall it be. Goku’s Saiyan vices have become quite prevalent to his characterization, but his original traits—those for which ChiChi most loved him—have not fallen by the wayside. Indeed, they’ve only strengthened over time. A Saiyan draws his power from his relationships. Though he craves the thrill of combat, he reaches new levels of power when fighting to protect rather than conquer (one of the reasons that Vegeta’s power lagged behind that of Goku for so long, but that’s a post for another day**). Each and every plateau Goku reaches is overcome in a fit of emotion. Goku fears not for himself while agonizing with the heart virus, but for his family and best friend. His feverish nightmares are terrible to behold. Goku is in agony, and for their evocative emotional ferocity alone, they are some of my favorite moments in all of Dragon Ball Z. Much of Goku’s feelings are ascertained through small, rare moments like this… Moments when you can hear the desperation, the tears in his voice. Powerless to do anything more than watch as his son and best friend are murdered. Powerless as his mate’s neck is snapped before his eyes. Of all the deaths that he has seen, even in dreamscape, ChiChi’s is the one of the few that brings him to tears. Dragon Balls or no, that is one of the few he cannot stand. Goku has been accused of terrible parenting for a number of reasons, but I would like make a supposition regarding the fundamentals of his race. Goku simply cannot fathom why his progeny wouldn’t have the same hunger for battle as does he. While he is furious over the idea of Gohan dying in battle, it doesn’t scare him. Gohan is half-Saiyan. Fighting, dying, the way of the warrior… it’s is in his blood. He saw Gohan survive a head-on, flying collision with a tree as an infant, so he’s come to believe firmly that a) Gohan has the potential to be far stronger than he, and b) Gohan will grow into a man with responsibilities; he is the next generation of protector. Goku would not dream to shelter him from that responsibility (worldview) and newly minted heritage (honor). He is also incredibly combat savvy, knowing who to save in a combat moment and who he can return to life when. In short, Goku is incredibly irresponsible by human standards, but all of his actions are in-keeping with his worldview. You will notice that, by the time he realizes that Gohan has not inherited this Saiyan lust for combat (during the Cell Saga), he calms down and allows Gohan to grow into his own man. Gohan reaches the peak of his power, but never grows into his potential because, as Piccolo finally gets through to Goku, it isn’t in Gohan’s nature. There are thousands of more words worth of suppostitions to make and content to address, but I’ll leave this evaluation here for today. As always, feel free to comment below with your own thoughts on ChiChi and Goku as characters or on their relationship, and we’ll discuss. I can’t wait to hear from you. How does everyone feel about a Vegeta x Bulma examination in the future? Gender roles in Dragon Ball? Parenting in-universe and in the future timeline? The relationship between Piccolo and Gohan? I rewrote this post when it was nearing completion, tackling it with another tone and angle, so I’m sorry about the delay. *I never said that I wouldn’t be biased. These are my ramblings, after all. **I love the character of Vegeta and his progression. Fight me.